I’ve seen the original movie of Daredevil and also had the opportunity to read some of the comic books… so I thought I’d give this series a try. 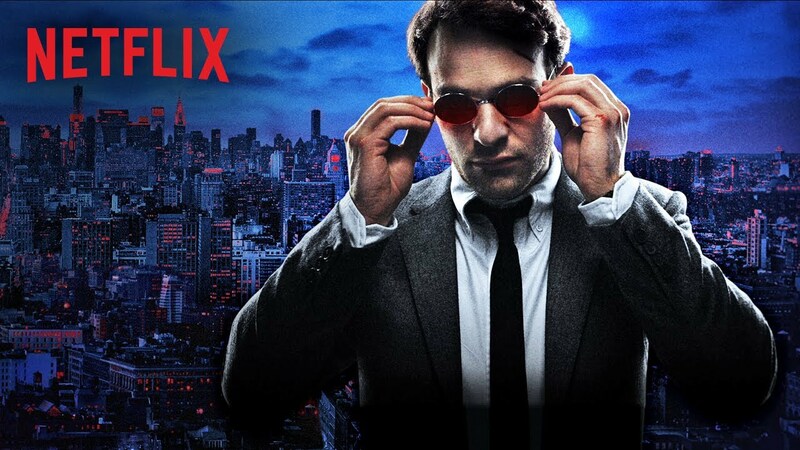 I thought this series was a good version of Daredevil, even though Matt didn’t have his normal red suit. I was a bit disappointed that the series didn’t go really deeply into Matt’s friendship with Foggy… though there was one episode where their friendship hit a major snag. Matt’s outward senses seemed a lot more obvious in the series than I was expecting. I was surprised that no one picked up on some of the things he was able to do. I didn’t feel like Matt’s Catholic faith was shown as much as it could have been. There are a couple of times he goes to confession and he does form a friendship with a priest… but for being something that’s so integral to the character of Daredevil, I was surprised more of his faith wasn’t shown. It was good to see there were times when Matt questioned himself and if he was doing the right thing. I really loved the easy banter that was shown between him and Foggy… and it was really cool to have the opportunity to see them at college together. I liked being able to see more of Matt’s past and his relationship with his father. It was also good to see his past with Stick… though I couldn’t help feeling deeply for Matt as a child. I felt Stick was far too hard on him… even if that was who trained him in the first place. It was also good to learn about how Matt’s abilities worked, like the fact that he could tell if someone was lying or not because of the rate of their heart beat. And how he was able to stitch up wounds, due to doing the same for his dad before he lost his sight. It was interesting to see Fisk as a ‘normal’ person, as well as the dark, mysterious figure behind what was happening in the city. I’m sure he really believed what he was saying… even if he was clearly a bad guy, he was one with reasons for what he did. And a past that gave him more depth. I really liked Brett in this series and I would have liked to see more of him. I did like the ending of the series… even if there were parts of it that were sad. I hope to see season two soon. It would be really good to see more of the characters and how they deal with the events of season one.